The film's central story concerns a father, Lalit Verma (Naseeruddin Shah), who is trying to organize an enormous, chaotic, and expensive wedding for his daughter, for whom he has arranged a marriage with a man she has known for only a few weeks (Parvin Dabas as Hemant Rai). As so often happens in the Punjabi culture, such a wedding means that, for one of the few times each generation, the whole family comes together from all corners of the globe including India, Australia and America. The bride, Aditi Verma (Vasundhara Das), is nervous as she has been having an affair with her married ex-boss Vikram (Sameer Arya). The film also includes several subplots: Ria Verma (Shefali Shah), a cousin of the bride, was sexually abused by her uncle, Lalit's brother-in-law and the family's patriarch, Tej Puri (Rajat Kapoor), some years earlier and finally speaks out to prevent his abuse of her younger cousin, Aliyah. The wedding contractor PK Dubey (Vijay Raaz) falls in love with the family's maid, Alice (Tillotama Shome). 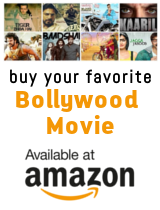 The bride's brother, Varun, struggles with his father's disapproval of his longing to be a chef, and his angst at Varun's lack of conventional Indian masculine characteristics. Ayesha (Neha Dubey), the youngest marriageable relative of the bride, flirts with Aditi's cousin Rahul (Randeep Hooda), who has just returned from Melbourne. This is all set within the four days preceding the wedding, predominantly at the Vermas' house.